Grasping after odd jobs to support his wife and child, university fundraiser Milo Burke is offered one last chance by his former employer: He must reel in a potential donor--a major ask--who turns out to be Milo's sinister college classmate. And the give won't come cheap. 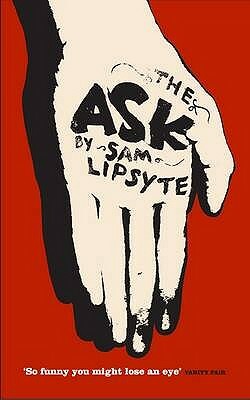 Sam Lipsyte was born in 1968. He is the author of the story collection "Venus Drive" (named one of the top twenty-five books of its year by the Voice Literary Supplement) and the novels "The Subject Steve" and "Home Land," which was a "New York Times" Notable Book and received the first annual Believer Book Award. He is also the recipient of a Guggenheim fellowship. He lives in New York City and teaches at Columbia University.